The number of people interested and active in keeping bees at an amateur level has continued to increase over the past few years in both rural and urban situations. 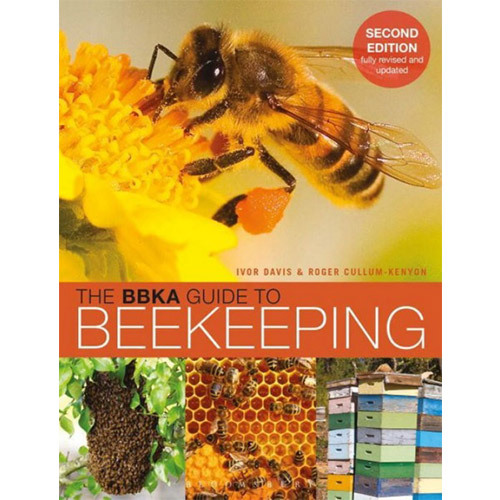 This guide, aimed at beginning beekeepers and the only one to be endorsed by the BBKA, provides an authoritative text along with clear photographs and illustrations. It introduces the reader to beekeeping, including such areas as the workings of the colony, the structure of a hive, how to acquire bees and keep them healthy, and what happens each month in a beekeeping year. Each chapter is accompanied by anecdotes, answers to frequently asked questions, and fascinating facts about bees and honey. The new edition includes new step-by-step sequences to illustrate procedures such as containing a swarm, identifying the queen, using a smoker, and cleaning a hive as well as more information on different kinds of hives, disease management, and many other key areas.